A friend recently revealed to me that not only had his mother collected and kept all his baby teeth, but then publicly presented them to him in front of all his friends and family at his 21st. And it dawned on me that if I want to have a hope of embarrassing my children in the same manner when they reach adulthood, I’ll need a system. This pillow might just be part of that system. 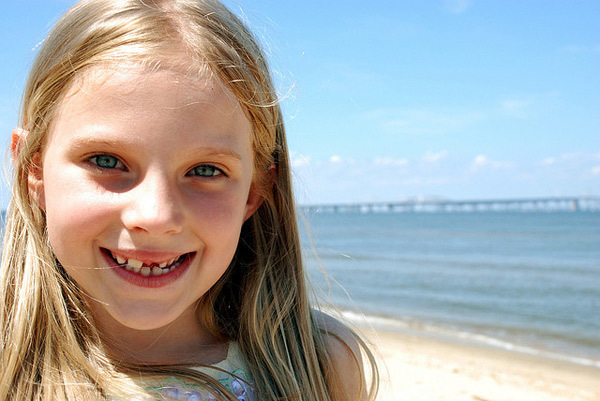 Losing teeth is such an important time in childhood – and some kids are understandably nervous about it. 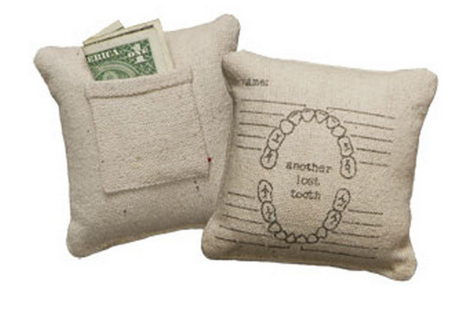 There’s nothing like a fun tooth fairy pillow to ease the nerves and focus the mind on the prize – the cash! We love this one from A Lovely Universe, especially because of how it can be personalised. Your gappy child can write their own name at the top and tick off each tooth as it goes. Or perhaps they’d rather keep a tally of their earnings on there – either way, at US$11 it’s a steal. Pick it up from A Lovely Universe, and while you’re at it – check out our past posts about tooth fairy pillows, boxes, and crazy tooth storage that will set you up to embarrass your own child when they reach adulthood!